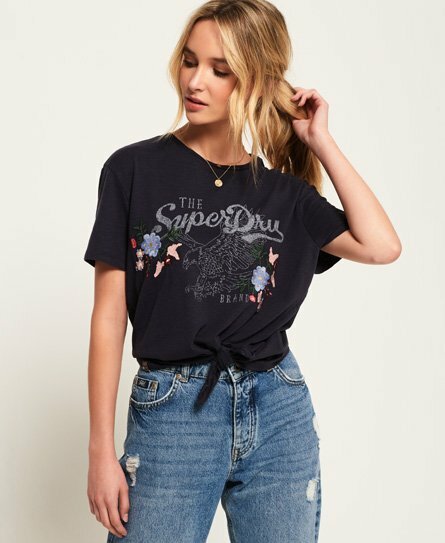 Superdry women’s Katie embroidered t-shirt. A soft tee, featuring a crew neckline, a faded Superdry logo across the chest with embroidered flower detailing and knot fastening. This cute t-shirt is finished with a Superdry logo tab on the hem.